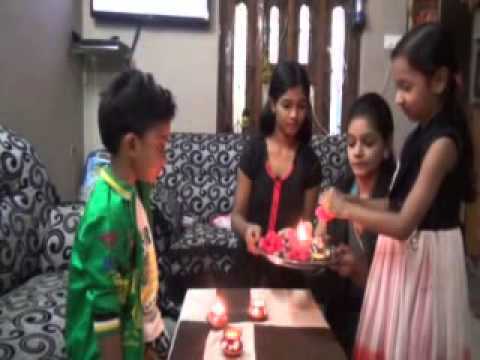 The Bhai dooj after the diwali festival falls on the second day of the new moon in the month of Kathik. 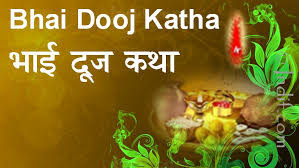 Legend behind this festival There is a legend behind the celebration of this festival It is said that the Lord of Death, Yamraj visited his sister on this day. 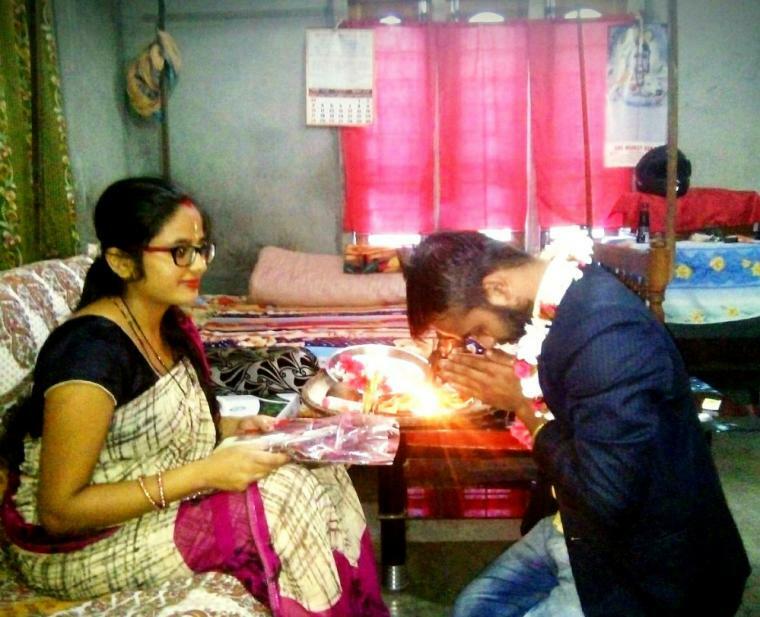 She was overjoyed and welcomed him with aarti and a garland. She also offered him lots of sweets. Lord Yamraj returned his love by presenting her with a gift. He was so impressed by his sister's love towards him that he declared this day to be celebrated as Bhai Dooj where all the sisters do aarti and tilak of their brothers and brothers should return their love in form of gifts. He also said that whoever received aarti and tilak from their sisters on this day, he will never be defeated in life. Thus, this beautiful tradition is still carried on. Another Legend says that this was the day when Lord Krishna returned home after defeating the Demon King Narakasura. Lord krishna's sister was very delighted in seeing her brother safe and sound and thus welcomed his with Aarti and garland of flowers. 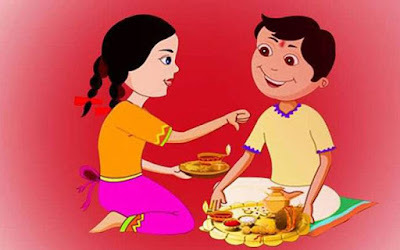 Celebration of the Bhai Dooj festival On this festival, it is customary for all the married Women to visit their brother. Sisters wake up early in the morning and prepare the dishes favourite to their brothers. They are then made to sit on a flour of rice and are served the food prepared by their sisters. Afterwards, the sisters do aarti and tilak and pray for the long life and well being of their brothers, the brothers also take a woe to protect the honour of their sisters until death. 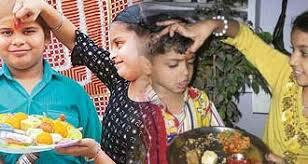 After the aarti, sisters place a betel nut, betel leaves, coins and flowers on the palm of their brothers. Then, some water is poured over the palms and sisters chant mantras and pray for the well-being of their brothers. A lamp is them lit facing the south direction and it is said that whatever the sister wishes for her brother on that day, is definitely granted. Sisters apply mehendi on their hands for the occasion. The brothers return the love by giving them gifts. In some parts of the country, sisters can celebrate this festival even in the absence of their brother by praying to the moon. Brothers send their sisters gifts from afar. In this time where family relations take a back seat, these festivals are a way to take us back to our roots and help us bond with our family better.